If you've ever thought about tinting your windows either on your personal vehicle, or your commercial vehicle; I want to give you some reasons why it's a good time to take the plunge. Privacy. If you are worried about someone looking into your car and breaking a window to take anything you might have in there- window tint at a certain VLT will make it harder for theifs to view what is inside. While the best thing to do is just take important items out of the vehicle, darker tint might deter them from even trying. Health Benefits. Window tint can block up to 99% of harmful rays. This helps prevent skin cancer, and keeps the cabin of your car cooler during summer months. The ceramic tint that we carry (DUB IR) boasts that 99% UV protection as well as over 80% infrared rejection. Comfortability. Window tint keeps your cabin cooler. It also blocks the sun from your eyes making it easier to see while on the road. Protection. Window tint can help prevent glass from shattering during an accident protecting you and your passengers. Looks. Let's face it- it just looks cool! All of these are great reasons to schedule your window tint appointment with us! 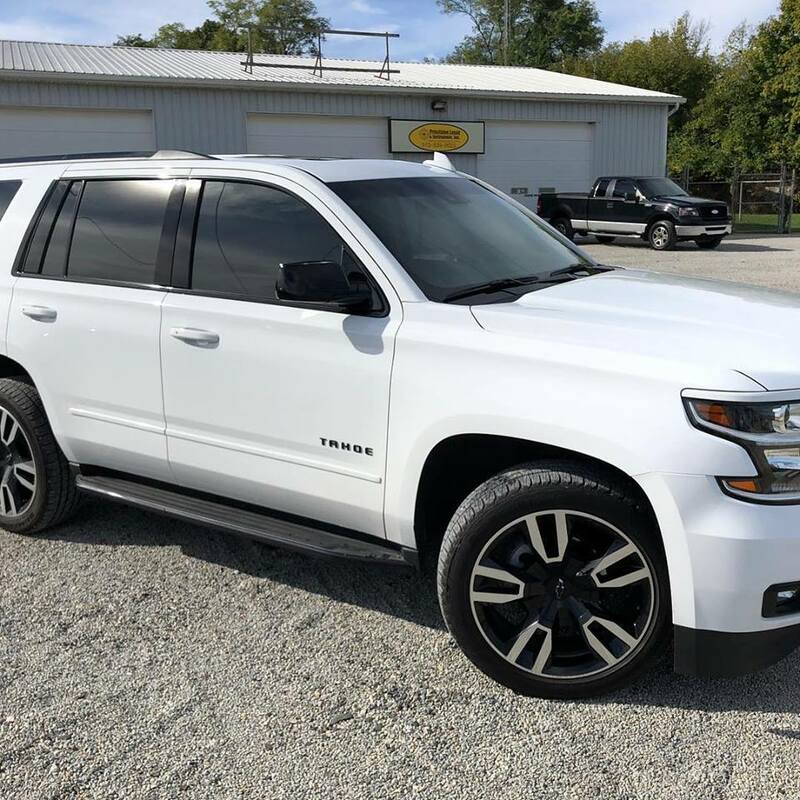 If you are already visiting for a wrap or graphics, we can easily tint the windows while your vehicle is here in our shop! We have area and industry competitive pricing on both of the tint films we carry (Scorpion and DUB) and both come with a lifetime warranty!